Comment: Need to have the slope on my gutters checked. Comment: Wanting to install new gutters where there are none on 2 story home. Looking for pricing and options within my budget. Comment: Gutters, downspouts, and draining required on a one-story home built in 2000 in a residential subdivision. Need "cap" or feature on gutters to prevent accumulation of leaves and debris. Arlington Gutter Cleaning & Repair Services are rated 4.79 out of 5 based on 1,053 reviews of 37 pros. 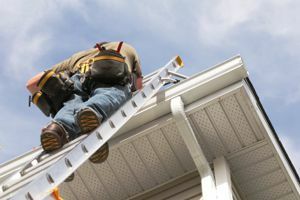 Not Looking for Gutters Contractors in Arlington, TX?